As we head into the home stretch of the holidays, many of us will be packing up the kids and hitting the roads. According to AAA last year, 94.5 million people were on the roads, train tracks or in the skies during the holiday season. That’s a lot of people! Thrown your own kids into the mix of congestion and it could spell disaster! Safety 1st has some tips to keep disaster at bay and help you have an enjoyable holiday! Avoid peak travel days –Try not to fly or drive the days immediately before and after the actual holiday. Those are the busiest travel days. Between work and school, that may not work all the time. TIP: You might save money by traveling on the actual holiday if your schedule allows it. The roads are less congested too! Prepare your child for the trip – Holiday parties can be mean sensory overload, especially for young children. 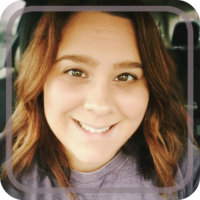 Talk to your children about your upcoming trip a few weeks in advance. If you’re really feeling crafty, make a small photo album of the family members and friends you will be visiting. This will help them put a name to the face so they are a little familiar with everyone upon arrival. 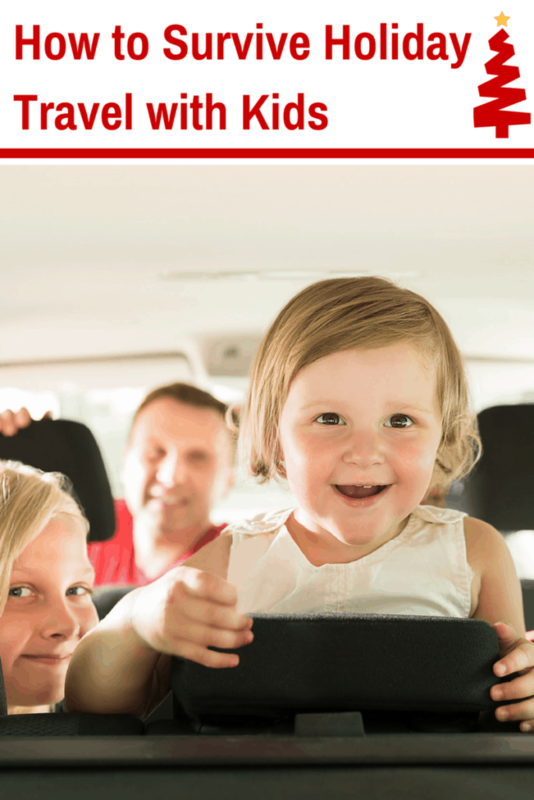 “Are we there yet?” – To help avoid that dreaded phrase an hour into your six hour trip, pack a bag just for the kids. Throw in some books, toys, diapers a change of clothes and snacks. Pre-load a tablet or smartphone with kid friendly apps or games. If you are driving, make sure to keep all necessary items such as wipes, hand sanitizer or tissues easy to reach in a second. The Safety 1st Car Door Sanitation Station is a great solution for this! Car Seats – If you are flying check to make sure your car seat is FAA certified. If it’s not clearly labeled contact the manufacture. For parents with older children, the Safety 1st BoostAPack can double as a kid survival kit, it’s FAA certified, and will fit in the plane overhead bin. 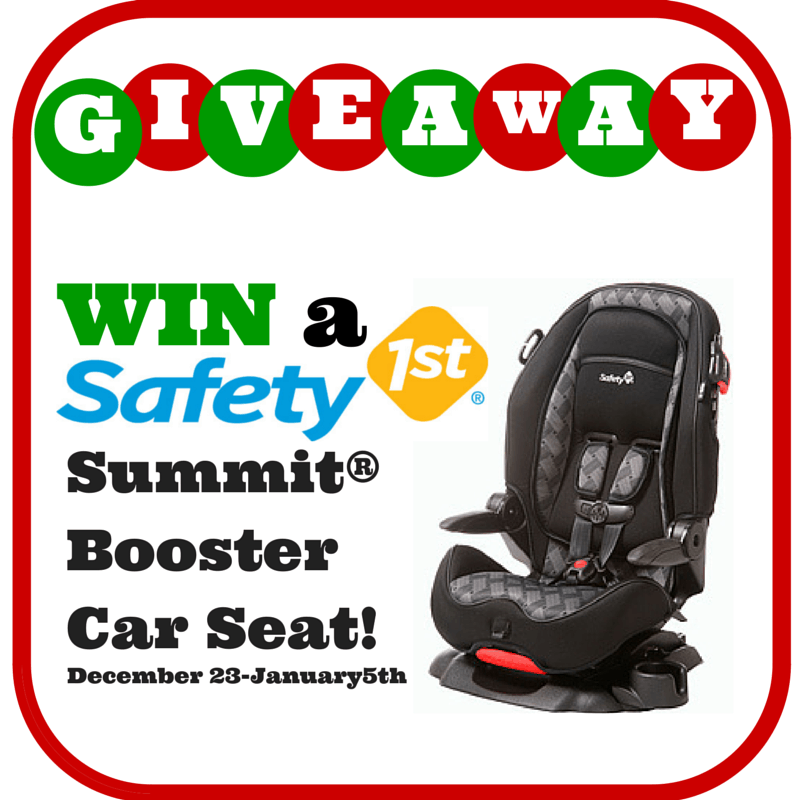 To help you with travel safety, Safety 1st is giving ONE lucky A Grande Life Winner a Summit® Booster Car Seat! I make sure there is lots of snack and drinks. And tablet is fully charged.